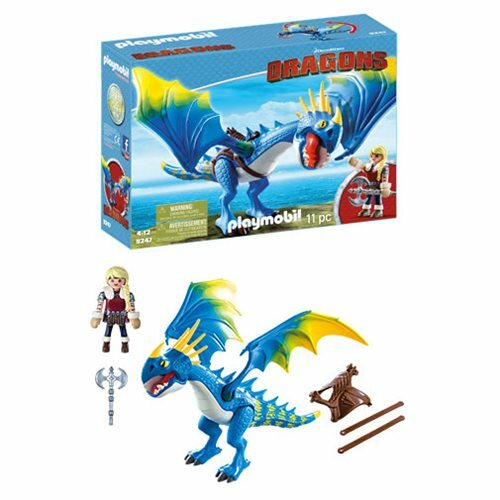 Head out on an adventure with this How to Train Your Dragon Astrid and Stormfly Playset! This playset includes Astrid, Stormfly, a saddle, and a battle axe. Astrid can use the saddle to sit on Stormfly's back and when the battle is won, the saddle can be removed. Ages 4 and up.